The Color Guard is a non-musical section of the marching band that provides additional visual aspects to field and parade performances. The purpose of the Color Guard is to interpret the music that the marching band is playing via the synchronized spinning of flags, sabers, rifles, the air blade, and through dance. The Color Guard uses different colors and styles of flags to enhance the visual effect of the marching band as a whole. Backdrops may also be used to bring color and scenery to the field, further enhancing the field show presentation. The number of members in a Color Guard can range from a single person to over 50 members, depending on the size of the marching band, school funding and the number of students interested in participating. When marching season ends, the color guard continues performance as a separate entity: the Winter Guard. 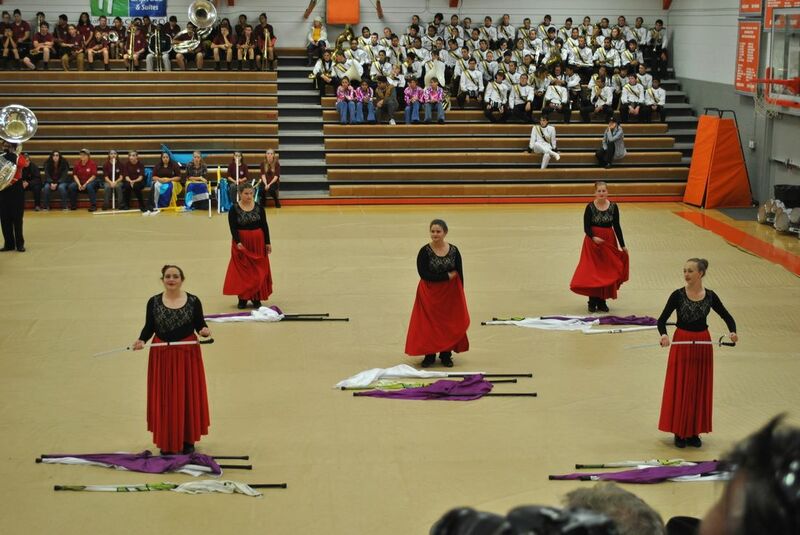 Winter Guard is similar to outdoor color guard, except the performances are indoors on gymnasium floors through the winter season. The traditional marching band music heard during fall season is replaced with a recording of various musical genres. 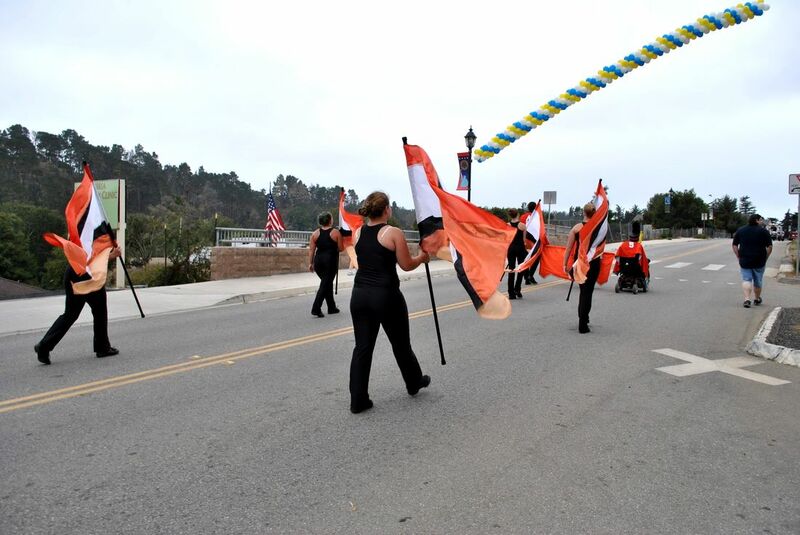 The Atascadero High School Color Guard has been honored with several awards for their performance in parades and field show competitions throughout the county. Most recently, the AHS Color Guard brought home the first place trophy for field show performance at the Selma High School Field Show Competition in October, 2014. Winter Guard is now gearing up for their local competitions. Competitions TBA. 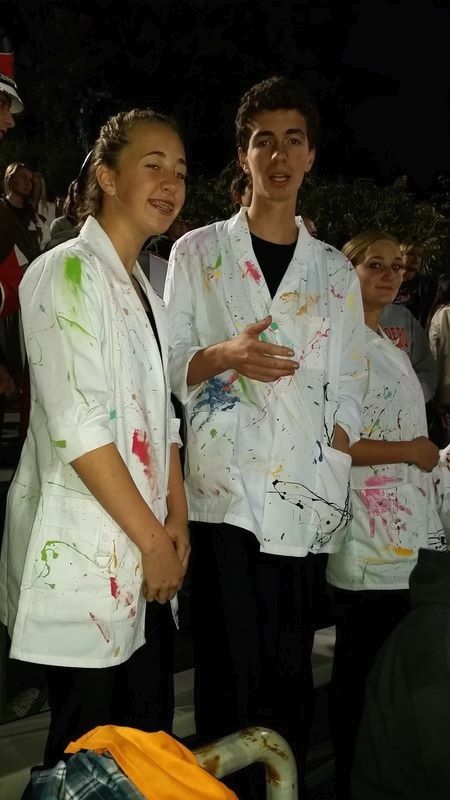 Color Guard in their Painted field show outfits, Home Football Game, October 2014. 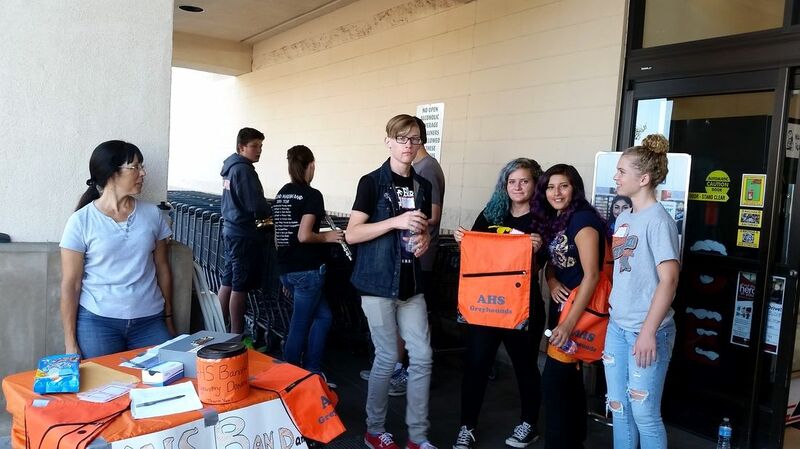 Albertsons Fundraiser! All band members including guard, August 2014.